Any time of the year and usually in the company of "grey geese". 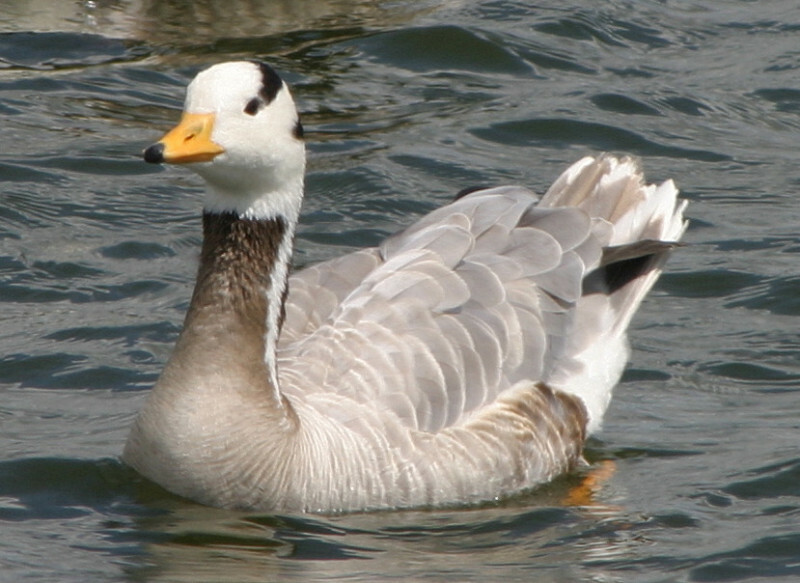 Breeds in colonies of thousands on lakes of high central Asia from the Tian-Shans to Ladakh and Kokonor. Winters in northern India, Assam and northern Burma. Often kept in captivity where it breeds readily. British records almost certainly relate to escapes but the species is gradually becoming more established in Britain and has bred on several occasions. The Bar-headed Goose, along with Black Swan is the most frequently occurring species of escaped wildfowl in VC55. Most records have been of single birds predominantly from Rutland Water, Eyebrook Reservoir and Stanford Reservoir.